Did you know each year more than 8,000 tonnes of waste is generated JUST from Easter egg packaging and cards alone? This is a serious issue for our environment, so we thought that it would be the perfect time to remind everyone of some easy hints and tips to help have an Eggcelent Ecofriendly Easter. If you have a sweet tooth and enjoy indulging in some chocolatey eggs over the Easter break, then be sure to keep your aluminium wrapping aside for recycling. It is important to not just put small pieces of foil straight into the recycling bin, as they are too small be captured by the machines. Keep your foil together and roll pieces together until you have a ball of foil about the size of a golf ball, it can then be put into the recycling bin and processed through the machines at the recycling plant. Remember this can be any type of foil, so your cooking foil can also be added to this pile. There are so many options out there when it comes to purchasing Easter Eggs, so it’s important to be mindful when you are buying – be sure to avoid purchasing eggs that are packaged in unnecessary single use plastic, cardboard or ribbon. Easter baskets are available in nearly every discount store now and you can pick up a little Easter basket for next to nothing. The problem is that most of them are made of plastic, and are quite often used for the day and then discarded after the day has passed. Perhaps this year you can look to make your own Easter basket by repurposing items that you already have around the home, or visit your local Op Shop to purchase a basket that can be used around your home after Easter has finished. 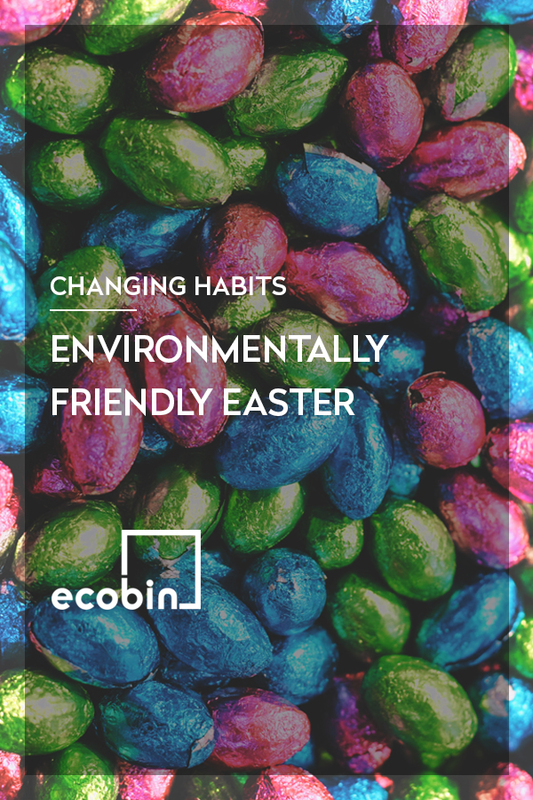 We hope these tips will encourage you to be eco-friendlier this Easter.